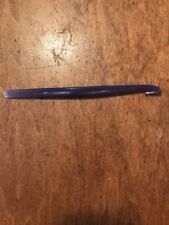 TUPPERWARE - Citrus / Orange Peeler - ONE (1) - A RANDOM COLOR -- PLEASE READ !! TUPPERWARE - Citrus / Orange Peeler - ONE (1) - A RANDOM COLOR. WINNER WILL RECEIVE ONE (1) CITRUS PEELER IN A RANDOM COLOR -. Tupperware Citrus peeler. You will receive FIVE pink ! GREAT FOR BREAST CANCER Christmas gifts. Co workers. TUPPERWARE KITCHEN GADGETS. SET OF 2 ~ CITRUS PEELERS. Tupperware Citrus peeler. You will get FIVE BLACK SARKLES peelers when you purchsse. You pay $2.66 shipping, ONCE! Every one purchased after the first is FREE shipping! Check out my other auctions for more treasures! New TUPPERWARE Citrus/Orange Peeler - ONE (1) - RANDOM COLOR. Removing Skin from Avocado. Cleaning the Rim of Tupperware Seals. Top 25 Uses 1. Removing peel from Citrus Fruits. Staple Remover. Finger Splint When Camping. Tupperware Orange / Citrus Peelers. sold as is . Everything is. Vintage Tupperware Yellow Citrus Orange Peeler #727 series. Vintage Tupperware Yellow Citrus Orange Peeler #727 series. . Condition is Used. Shipped with USPS First Class Package. Tupperware Tangerine Orange Citrus Peeler Peelers . Condition is Used. Shipped with USPS First Class Package. 10~ Citrus Black Peelers. So here it is. a list of 25 things you can use the coveted Tupperware Citrus Peeler for! Removing Skin from Avocado. Cleaning the Rim of Tupperware Seals. Drink Stir Stick. 5~ Citrus Black Peelers. So here it is. a list of 25 things you can use the coveted Tupperware Citrus Peeler for! Removing Skin from Avocado. Cleaning the Rim of Tupperware Seals. Drink Stir Stick. TUPPERWARE KITCHEN GADGETS. SET OF 2 ~ CITRUS PEELERS. PURPLE (bluish, grayish purple). Very nice piece, please email with questions. This is a ”Pre-Owned” it defines it as not new/perfect. 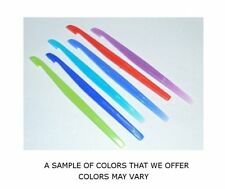 Tupperware Twist-able Peeler. The Twistable Peeler operates in both a vertical and horizontal position. Suitable for either left or right-handed use. Unique design also has a circular potato eye remover. Rare new never been used discontinued color Tupperware citrus peeler in gold. 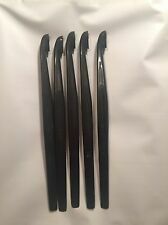 Set of 5 Tupperware Citrus Peelers Black. Letter opener, cuticle pusher, removing skin from avocados, drink stir stick, crochet hook. Other ideas include. TYPE: Citrus Peeler. COLOR: Red. THE ONE SIDE DOES THE SCORING THE OTHER SIDE WILL PULL THE PEEL UP FOR EASY REMOVAL. YOU WILL RECEIVE 4 IN AN OPAQUE Royal Blue COLOR AS SHOWN. AND WILL BE DESCRIBED MORE IN DETAIL AS NEEDED. I TRY TO DESCRIBE AS EXCELLENT, EXCELLENT TO VERY GOOD, VERY GOOD, VERY GOOD TO GOOD AND GOOD. Great little peeler from Tupperware! Peel or Julienne strip veggies. Head of peeler twists around for best peeling position! You will get 6 assorted different color of citrus peelers, actual color might look different from what is shown in the picture. RED & YELLOW IN COLOR. YOU WILL BE RECEIVING EVERYTHING THAT YOU SEE IN THE PICTURES. Tupperware Vegetable Potato Peeler, Reversible Blade NEW - Twistable Peeler. You haven't had a good peeler, until you have had the one from Tupperware! Blade can be "flipped" to access the two different cutting edges: serrated and straight. THE ONE SIDE DOES THE SCORING THE OTHER SIDE WILL PULL THE PEEL UP FOR EASY REMOVAL. YOU WILL RECEIVE 2 IN AN OPAQUE Bright Yellow. COLOR AS SHOWN. AND WILL BE DESCRIBED MORE IN DETAIL AS NEEDED. I TRY TO DESCRIBE AS EXCELLENT, EXCELLENT TO VERY GOOD, VERY GOOD, VERY GOOD TO GOOD AND GOOD. Tupperware 5 piece CITRUS Peelers. Grapefruit - Tangerines - Oranges - Lemons. Cleaning the Rim of Tupperware Seals. And the peel cuts perfectly for easy peeling with the other end of the gadget! Drink Stir Stick. Tupperware BRAND NEW SET (3 Pink, 2 Black and 3 Sparkle Orange) Citrus Peelers . Condition is New. Shipped with USPS First Class Package. Great for peeling oranges etc. it also good to clean rim of seals and many other uses. See photos for colors. 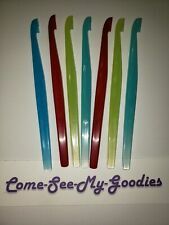 New Tupperware Set of 5 Be Dazzled Sparkly color Citrus Peelers. Sturdy for years of use peeling oranges, grapefruits, and more. Cleaning the Rim of Tupperware Seals. Drink Stir Stick. Removing skin from Citrus. Set of 2 Tupperware Citru s Peelers. Co lors are Pink and Purple. Set of 2 Tupperware Citru s Peelers. Co lors are purple and blue. Set of 2 Tupperware Citru s Peelers. Co lors are black and royal blue. CITRUS PEELERS. Great for peeling your favorite orange or lemon or anything with a skin. This citrus peeler is a great little Tupperware kitchen tool. This is a set of 4 NEW Tupperware Light Blue Citrus Peelers. Set of 4 Tupperware Citru s Peelers. New Tupperware Set of 5 Radish Red / Maroon Color Citrus Peelers. Sturdy for years of use peeling oranges, grapefruits, and more. Cleaning the Rim of Tupperware Seals. Drink Stir Stick. Removing skin from Citrus. 10 x New Tupperware Set of Citrus Peelers. Sturdy for years of use peeling oranges, grapefruits, and more. Cleaning the Rim of Tupperware Seals. Drink Stir Stick. Removing skin from Citrus. Removing Muffins from Muffin Pans. New Tupperware Set of 4 Citrus Peelers. Sturdy for years of use peeling oranges, grapefruits, and more. Cleaning the Rim of Tupperware Seals. Drink Stir Stick. Potato Eyer. Removing skin from Citrus. New Tupperware Set of 10 Pink Citrus Peelers. Sturdy for years of use peeling oranges, grapefruits, and more. Cleaning the Rim of Tupperware Seals. Drink Stir Stick. Removing skin from Citrus. Removing Muffins from Muffin Pans. New Tupperware Set of 10 Black Citrus Peelers. Sturdy for years of use peeling oranges, grapefruits, and more. Cleaning the Rim of Tupperware Seals. Drink Stir Stick. Removing skin from Citrus. Letter Opener. 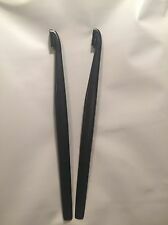 New Tupperware Set of 2 Black Citrus Peelers. Sturdy for years of use peeling oranges, grapefruits, and more. Cleaning the Rim of Tupperware Seals. Drink Stir Stick. Removing skin from Citrus. Letter Opener. New Tupperware Set of 4 Pink Citrus Peelers. Sturdy for years of use peeling oranges, grapefruits, and more. Removing Skin from Avocado. Cleaning the Rim of Tupperware Seals. Drink Stir Stick. Removing skin from Citrus. New Tupperware Set of 10 Citrus Peelers. Sturdy for years of use peeling oranges, grapefruits, and more. Cleaning the Rim of Tupperware Seals. Drink Stir Stick. Removing skin from Citrus. Removing Muffins from Muffin Pans. New Tupperware Set of 7 Citrus Peelers. Sturdy for years of use peeling oranges, grapefruits, and more. Cleaning the Rim of Tupperware Seals. Drink Stir Stick. Removing skin from Citrus. Removing Muffins from Muffin Pans. New Tupperware Set of 4 Citrus Peelers. Sturdy for years of use peeling oranges, grapefruits, and more. Cleaning the Rim of Tupperware Seals. Drink Stir Stick. Removing skin from Citrus. Removing Muffins from Muffin Pans.